Modern Money Theory: Deadly Innocent Fraud #1. Government Must Tax To Spend. – Warren Mosler. ​Fraud #1: Government Must Tax To Spend. Many economists value complexity for its own sake. A glance at any modern economics journal confirms this. A truly incomprehensible argument can bring a lot of prestige! The problem, though, is that when an argument appears incomprehensible, that often means the person making it doesn’t understand it either. Money is created by government spending (or by bank loans, which create deposits). Taxes serve to make us want that money – we need it in order to pay the taxes. And they help regulate total spending, so that we don’t have more total spending than we have goods available at current prices – something that would force up prices and cause inflation. But taxes aren’t needed in advance of spending – and could hardly be, since before the government spends there is no money to tax. Nor is the public debt a burden on the future. How could it be? Everything produced in the future will be consumed in the future. How much will be produced depends on how productive the economy is at that time. This has nothing to do with the public debt today; a higher public debt today does not reduce future production – and if it motivates wise use of resources today, it may increase. Fiscal policy is what economists call tax cuts and spending increases, and spending in general. Whenever there are severe economic slumps, politicians need results – in the form of more jobs – to stay in office. First they watch as the Federal Reserve cuts interest rates, waiting patiently for the low rates to somehow “kick in.” Unfortunately, interest rates never to seem to “kick in.” Then, as rising unemployment threatens the re-election of members of Congress and the President, the politicians turn to Keynesian policies of tax cuts and spending increases. Galbraith’s Keynesian views lost out to the monetarists when the “Great Inflation”of the 1970s sent shock waves through the American psyche. Public policy turned to the Federal Reserve and its manipulation of interest rates as the most effective way to deal with what was coined “stagflation”- the combination of a stagnant economy and high inflation. The federal government must raise funds through taxation or borrowing in order to spend. In other words, government spending is limited by its ability to tax or borrow. Fact: Federal government spending is in no case operationally constrained by revenues, meaning that there is no “solvency risk.” In other words, the federal government can always make any and all payments in its own currency, no matter how large the deficit is, or how few taxes it collects. We all know how data entry works, but somehow this has gotten turned upside down and backwards by our politicians, media, and, most all, the prominent mainstream economists. The federal government doesn’t ever “have” or “not have” any dollars. If the government doesn’t tax because it needs the money to spend, why tax at all? The federal government taxes to regulate what economists call “aggregate demand” which is a fancy word for “spending power.” In short, that means that if the economy is “too hot,” then raising taxes will cool it down, and if it’s “too cold,” likewise, cutting taxes will warm it up. Taxes aren’t about getting money to spend, they are about regulating our spending power to make sure we don’t have too much and cause inflation, or too little which causes unemployment and recessions. The dollars we need to pay taxes must, directly or indirectly, from the inception of the currency, come from government spending. So while our politicians truly believe the government needs to take our dollars, either by taxing or borrowing, for them to be able to spend, the truth is: We need the federal government’s spending to get the funds we need to pay our taxes. Yes, there can be and there are “self-imposed”constraints on spending put there by Congress, but that’s an entirely different matter. These include debt-ceiling rules, Treasury-overdraft rules, and restrictions of the Fed buying securities from the Treasury. They are all imposed by a Congress that does not have a working knowledge of the monetary system. And, with our current monetary arrangements, all of those self imposed constraints are counterproductive. The fact that government spending is in no case operationally constrained by revenues means there is no “solvency risk.” In other words, the federal government can always make any and all payments in its own currency, no matter how large the deficit is, or how few taxes it collects. This, however, does NOT mean that the government can spend all it wants without consequence. Over-spending can drive up prices and fuel inflation. Governments, using their own currency, can spend what they want, when they want, just like the football stadium can put points on the board at will. The consequences of overspending might be inflation or a falling currency, but never bounced checks. The fact is: government deficits can never cause a government to miss any size of payment. There is no solvency issue. There is no such thing as running out of money when spending is just changing numbers upwards in bank accounts at its own Federal Reserve Bank. Taxes create an ongoing need in the economy to get dollars, and therefore an ongoing need for people to sell their goods and services and labor to get dollars. With tax liabilities in place, the government can buy things with its otherwise-worthless dollars, because someone needs the dollars to pay taxes. Keep in mind that the public purpose behind government doing all this is to provide a public infrastructure. This includes the military, the legal system, the legislature and the executive branch of government, etc. So there is quite a bit that even the most conservative voters would have the government do. In fact, a budget deficit of perhaps 5% of our gross domestic product might turn out to be the norm, which in today’s economy is about $750 billion annually. However, that number by itself is of no particular economic consequence, and could be a lot higher or a lot lower, depending on the circumstances. What matters is: The purpose of taxes is to balance the economy and make sure it’s not too hot nor too cold. And federal government spending is set at this right amount, given the size and scope of government we want. If the government simply tried to buy what it wanted to buy and didn’t take away any of our spending power, there would be no taxes – it would be “too much money chasing too few goods,”with the result being inflation. In fact, with no taxes, nothing would even be offered for sale in exchange for the government money in the first place. To prevent the government’s spending from causing that kind of inflation, the government must take away some of our spending power by taxing us, not to actually pay for anything, but so that their spending won’t cause inflation: to regulate the economy, and not to get money for Congress to spend. But as long as government continues to believe this first of the seven deadly innocent frauds, that they need to get money from taxing or borrowing in order to spend, they will continue to support policies that constrain output and employment and prevent us from achieving what are otherwise readily-available economic outcomes. 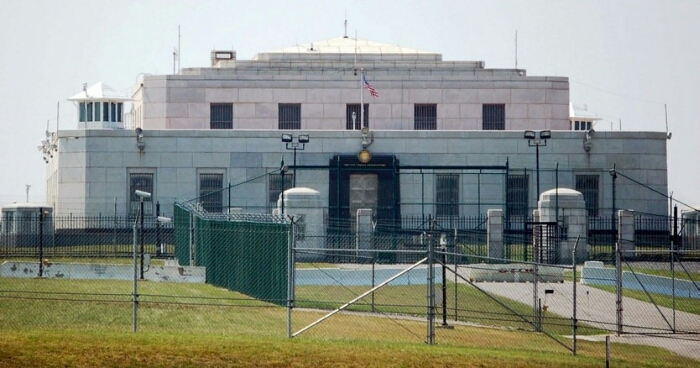 Fort Knox is a Myth. Previous PostTrumped by Vladimir Putin: The Russian Strongman Has Upended American Democracy – Bill Moyers & Michael Winship. Next PostBanking with our own Bank. We don’t even need Commercial Banks – Nicholas Gruen.